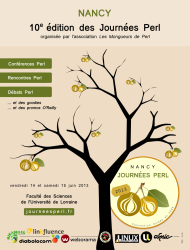 It is always good to meet les mongueurs de perl de France. As we say in French “ils sont vachement sympas”. 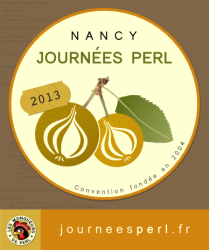 At the Journees Perl I learnt about the latest developments of Perl 6 which hopefully you will soon be able to try or at least read about them. What did they talk about? Rakudo, JVM, MoarVM, Parrot, Moose, Moe, Niecza, Perlito and much more. It just reminded me of an anecdote when O’Reilly was looking for a book cover design in the mid eighties. The designer was briefed and was told about the titles of the books O’Reilly was publishing – Emacs, vi, lex and yacc, unix etc., her reaction was “It’s a jungle out there” and allegedly that’s how our animal books were created. That is the way I feel about all the new stuff I have heard during this conference. I am hoping that I will be able to publish Liz Mattijsen’s “Perl’s Diaspora – Should we fear the future?” very soon. The organization team created some great posters and provided some of the best food. Unfortunately due to the rail strike not many delegates made it to Nancy. It is a shame that the team was not rewarded for such a great job.